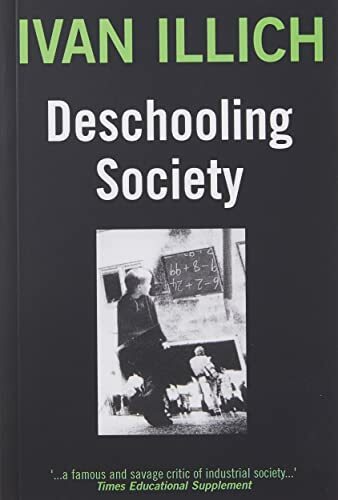 I’m reading this book now by Ivan Illich, “Deschooling Society”, thanks to a friend who bought it for me in London. The cover says enough for and about me, “Good radical stuff”. Coincidentally, I am also in the midst of my internship and I just wrote a logbook about my experience in the first month and I suddenly seem to draw parallels with what the book is saying and what I am writing in my report. In the book, Illich argues the school has become an institution that has monopolised “learning” and made it into “teaching” and the “professionalisation” of education simply means that whatever skills we pick outside of these institutions are just not recognised by society. However, more often than not, the skills and things we actually learn are obtained out of school. He then goes on to outline a “new world order” for learning where a lot of the impetus in learning is returned to the student who basically charts his own learning path backed by devices and resources that are built to be open and encourage a sense of curiosity in learning. For instance, machines, where we can actually see and understand how it works encourages inventive minds. Essentially, writing my log report helped me to reflect on the amount of work I have been involved in less than a month, but more importantly, spell out the skills and points I’ve noted in relation to my work and it is pretty exhaustive. I think compared to school, this has been a very different experience. I mean you can progress from primary school to tertiary education, and there exists a relatively similar system of “teaching”, while when you head out to work, the impetus is to teach yourself, or “learn”. I suppose at the end of the day, it is about empowering yourself to choose to “learn” rather than just be taught. That is a way of resisting Illich’s idea of school.